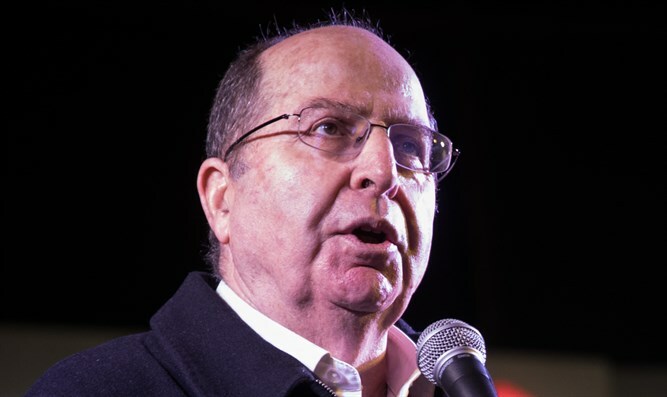 Former Defense Minister Moshe Ya'alon spoke to i24NEWS about the Second Lebanon War, Hezbollah, and Iran. In the interview, Ya'alon said the Second Lebanon war was criticized "justifiably at the time" but that there is no doubt that the parties involved are deterred from provoking Israel. "They understand that they are going to pay a heavy price for any escalation," he emphasized. Ya'alon added, "Lebanon has been abducted by the Iranian regime." A decision to wage war against Israel, he said, will not made by Hezbollah but by Tehran. He also said that "decisive victory" in wars against terror organizations who use civilians as human shields is "charging the other side" a heavy enough price that "in the end they won't get anything" and Israel gets a ceasefire "according to our conditions." During his term as Defense Minister, Ya'alon said, he charged the enemy a heavy enough price that they came begging for a ceasefire. This kind of ceasefire brings Israel peace and tranquility, "not because they support us, because they are deterred from us." Ya'alon also supported Israeli Prime Minister Binyamin Netanyahu's decision not to allow Iran to entrench itself in Syria, and said the Sunni Arab states' main enemy is Iran. "I call for our Sunni Arab neighbors - let's not be hostages to the Israeli-Palestinian conflict. For the Sunni Arab regimes, Iran is the main enemy," he said.